i-genius went all Japanese last weekend, hosting its 2nd i-genius Cafe London at the Japanese ICN Gallery and Cafe, Shoreditch, and two days later launching its 1st i-genius Cafe Tokyo at the innovative Social Apartment Miyamaedaira, Japan, making i-genius Cafe a global networking event. Both events wonderfully contrasted each other, for London was a breakfast served with tea, and Tokyo was an evening gathering served with wine. At both events, interesting projects were shared and new networks created. i-genius Café is a place where social entrepreneurs and those with an interest in social entrepreneurship can meet locally (café, bar, restaurant, gallery, park etc) to network and exchange ideas. Through these meet-ups they can meet like-minded people, engage in stimulating conversation, perhaps hear a talk, or share a common problem. 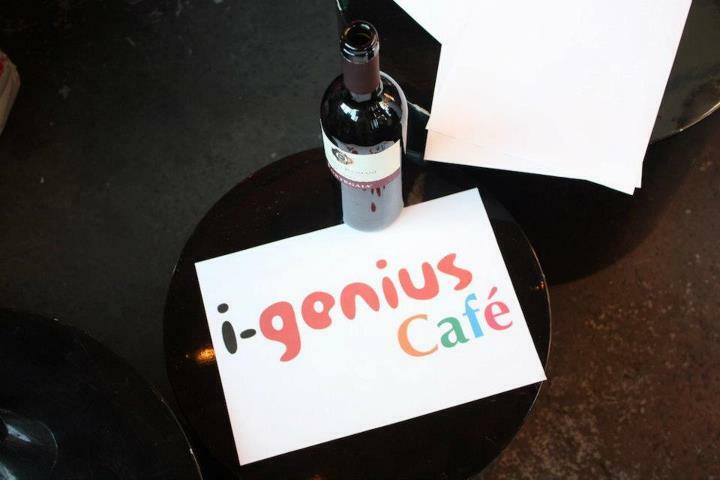 i-genius Cafés are forums for participants to discuss their dreams and passions, develop partnerships or even work together to source funding. Overtime we hope i- genius Cafés will take place all over the world giving travelers an opportunity to simply turn up to a gathering in any location and join in. Follow us on one of our social media channels to keep informed as to when the next i-genius Cafe London/Tokyo will be taking place. Click on below links to view photos!